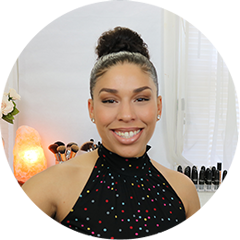 I’ve been washing my face with honey for many years now since I discovered this beauty tip during Crunchy Betty’s wash your face with honey challenge. 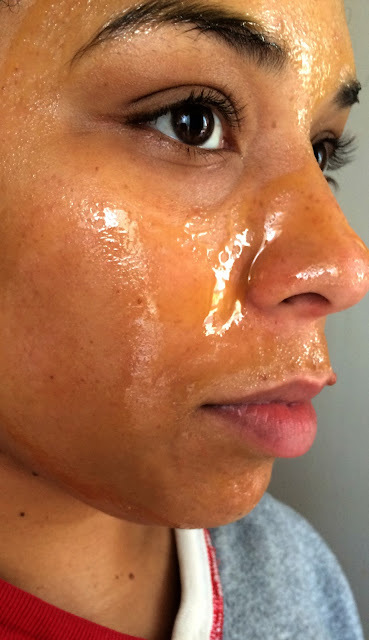 I’ve used honey during my weekly facials, but never thought of using it as a daily cleanser like the challenge proposed. I’m glad I participated as it’s now one of my favorite natural beauty ingredient and a must in my beauty regimen. Honey has many beauty and health benefits. It is antibacterial meaning it fights germs and bacteria that may reside on your face due to makeup, clogged pores, etc. which leads to breakouts and pimples. Those who deal with oiliness, especially me during the summer, will find that honey also helps control oil without over drying the skin. 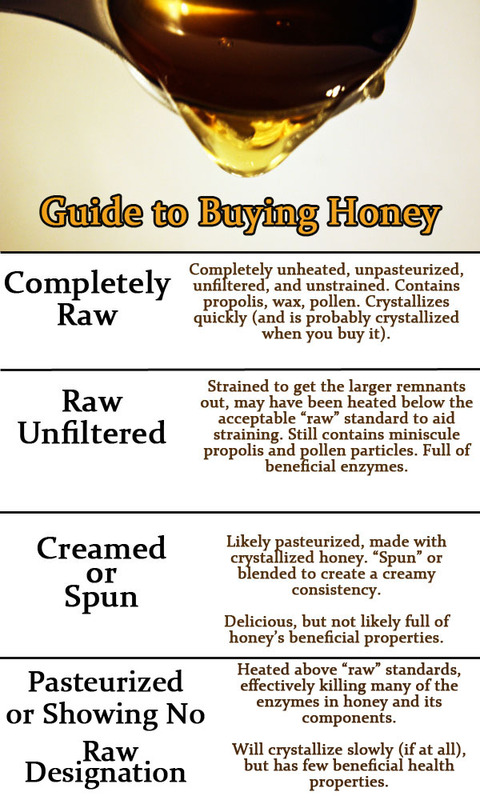 Not all honeys are created equal and you can read more about it in the honey guide where Crunchy Betty goes through the different types of processing honey goes through and why you should choose raw honey. To sum it up, raw honey is the best to choose because it contains all of its benefits where it may otherwise be lost during the processing stage. Honestly, I have tried all types and they all seem to work well for me. The only difference is with the raw honey, it can be a little abrasive for my sensitive skin, but it does not irritate at all. I’m always left with super soft skin and any redness subsides overnight. It takes me less than 2 minutes every morning. 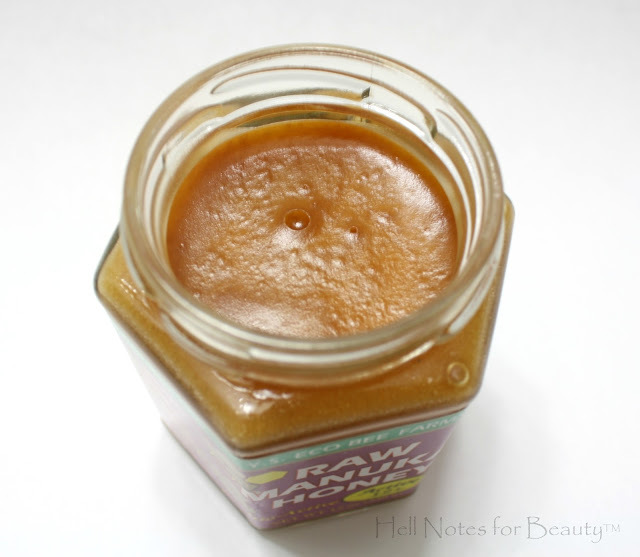 There’s really not much to it, but let’s break down my typical morning with Manuka honey…. Every morning with a clean face I wet my face with water and spread the honey over my face, avoiding my eyes of course. This Manuka honey is sooo creamy and and not too grainy as most raw honey I’m used to. It literally feels like a cream when applying. A little goes a long way so I make sure to scoop out just a little. While I prepare tea, meditate and brush my teeth, the honey has been on my face for about 15 mins. I rinse with warm/cool water, tone, moisturize and apply makeup as I normally do. That’s all to it! I don’t know how I’m late to Manuka honey because although, I’ve used raw honey before I have not gotten around to trying this much talked about holy grail honey. Manuka honey comes from the Manuka bush originating throughout New Zealand and Australia from which the bees feed off of and produce the potent Manuka honey. It’s said to be very healthy and used for medicinal purposes for thousands of years. Bed sores and a whole host of bacterial and fungal ailments. Antivira:l Use as a natural home remedy for sore throats as honey’s antiviral properties fights common bacteria such as strep throat, sinus allergies and coughs. 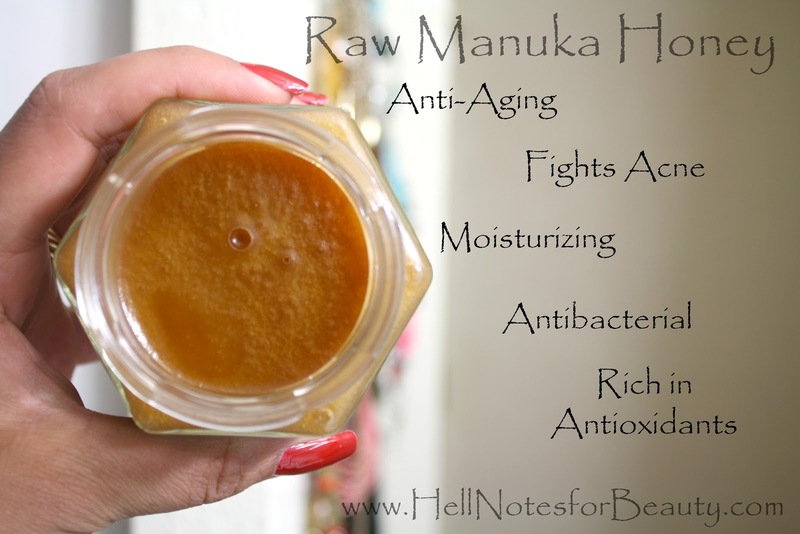 I purchased this Manuka honey for about $18 tax included at my local natural health store. Manuka honey comes in grades of 12+ and higher meaning its potency. So the higher the grade the more it’ll cost by a couple of dollars. I’m sure there are also many vendors online as well, but recommend you check your local natural health store for not only Manuka honey honey but any other local raw honey as well.